Norrie Waite & Slater have one of the most established Criminal Defence teams in the South Yorkshire area. We have a team of solicitors based in Sheffield, Rotherham and Chesterfield as well as covering Courts and Police Station's throughout the region. Our experienced solicitors can assist you at all stages from arrest, through being charged and representation at court. We also deal with appeals. 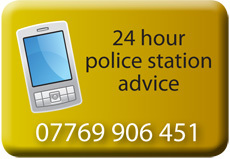 For 24 hour Police Station advice call us on 07769 906 451. Contact our dedicated criminal office via the contact us page, or complete the call back request below. Click here for information on Legal Aid. You can read about some of our successful criminal defence cases here. See below for more information on various offences. Click on a link below for more information on the area you require.